Cost of data is an emotive subject. This is a critically important week for all users. Media and consumers should take note. 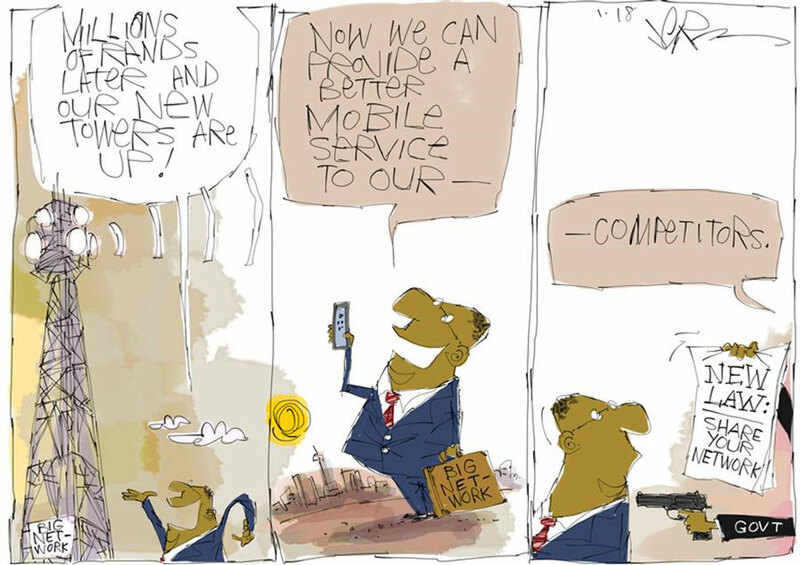 The Independent Communications Authority of South Africa (Icasa) is attempting to interfere with data bundles and consumer choice, while the department of telecommunications & postal services is holding industry consultations on its highly controversial Electronic Communications Amendment Bill. The Free Market Foundation has serious reservations about these developments and made submissions on both proposals. On Tuesday, the foundation will lead oral evidence on day one of a two-day consultation held by the telecoms department to hear oral evidence on the 43 submissions made on the amendment bill, one of several pieces of legislation required to implement the contentious ICT policy white paper. The October 2016 white paper stunned the industry by ignoring most of the adverse comment and by the introduction of a wireless open-access network, or Woan, that will create a new monopoly. Options similar to the proposed Woan have been tried in only four countries, and nowhere have they been successful. South Africa is emulating losers instead of winners. I will say at the department’s workshop that the amendment bill should be scrapped and real consultations resumed with the industry about the way forward to bring clarity and investment certainty to this vital economic sector. One critical aspect is the allocation of new high-demand spectrum currently being prevented by government. Dropped and poor-quality calls and unavailable networks are a direct result of lack of available spectrum for the mobile network operators who are battling to reuse existing frequencies in an effort to keep up with the exponential consumer demand for data. Consumers are being harmed by lack of spectrum in terms of quality and cost of data and the fault lies with government indecision. Last week, the FMF led evidence at hearings held by Icasa in an industry consultation into the set of end-user and subscriber service charter regulations. In essence, the regulations would force licensees (the mobile network operators) to provide prepaid data bundles with a minimum expiry period of three years and to give a post-paid user an option to roll over to their next billing period any data unused from his monthly data allocation, or to transfer data from his monthly allocation to other end users. The regulation gives no clarity as to whether all data bundles will be subject to these rules or whether the consumer will continue to have the option to choose their own data needs. If the former, higher prices will be inevitable as mobile operators will have to factor it into all data pricing and build this contingency into long-term planning — that is, carry this liability into the future. This will radically alter existing business models. Instead of encouraging more competition to bring down prices and innovation, the barriers to entry in terms of costs will rise, as will consumer data pricing. On the face of it, consumers may think the intentions of the regulation are in their best interests. However, TANSTAAFL, as always, applies: “There ain’t no such thing as a free lunch.” Someone always pays and, in this case, it will be consumers of data. In addition to the foreseeable impact on consumers, the Free Market Foundation also submits that the 2016 regulation is ultra vires (invalid) by going beyond the powers envisaged by the original act. The regulation intends to introduce a service charter of compulsory obligations for licensees, rather than just the minimum standards for service charters offered by licensees. Such a regulation cannot be made under the Electronic Communications Act. Competition and a freely functioning market, not heavy-handed government regulation, are the key to bringing down data prices and introducing more innovation. If we don’t get this right, South Africa will be left behind.